Following the world premiere of Liz Mytton’s Red Snapper earlier this year, Coventry’s Belgrade Theatre is thrilled to announce the return of its pioneering new writing programme, Critical Mass, running from September – December 2016. Previous participants of Critical Mass have gone on to have their work performed at the Belgrade Theatre by a company of professional actors. Spring 2016 famously saw the first full professional production to come from Critical Mass premiere in B2when Red Snapper by Liz Mytton was produced at the Belgrade Theatre starring BAFTA and Golden Globe nominated actress Cathy Tyson. Commenting on her experience of Critical Mass, writer Liz Myttonsaid, ‘Taking part in Critical Mass was crucial to my development as a writer and I so value the opportunity that it gave me focus and take my self seriously. In the case of my debut play Red Snapper, the characters always felt alive to me and their stories were very clear in my head, but the actual construction of the overall play was a much more complex affair. To hear my script brought to life by a company of professional actresses and to have the opportunity to work with a Dramaturg and Director has been absolutely invaluable for me. I feel the final play is so much stronger for their creative input and I’m so grateful to Critical Mass for given me the opportunity to take my play-writing career to the next level’. 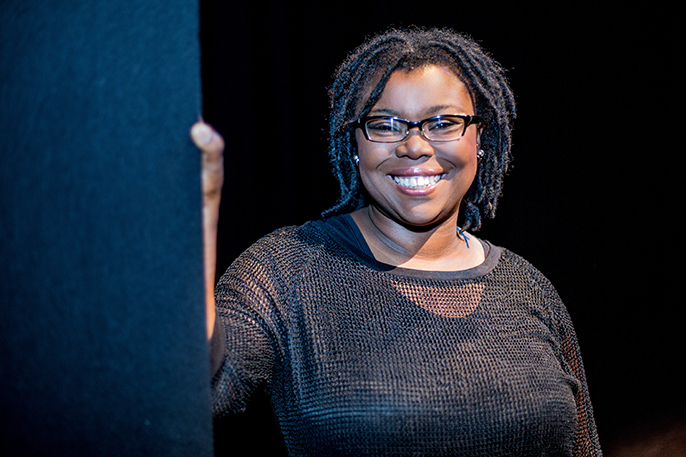 Justine Themen, Associate Director at the Belgrade Theatre said, ‘Through a process of rigorous and bespoke outreach which began back in 2004, the Critical Mass programme has attracted and inspired a truly diverse pool of writers, encompassing many people who previously would never have considered writing for the stage. This, in turn, has resulted in a theatre that creates fresh, new, original leading roles, portraying complex lives, telling complex stories, a new engaged audience, and a growing network of professionals working in every sphere of the creative industries - delivering stories from right across the diaspora. 2016 represents a landmark year in the evolution and development of Critical Mass with the premiere of Liz Mytton’s Red Snapper in B2 earlier in March. I hope that writers from across Coventry and the wider UK will be inspired by Liz’s experience and the benefits that taking part in the programme can bring, both professionally and personally’. The Belgrade Theatre has a strong commitment to representing the diversity of the city’s communities, and for the last few years has been working hard to build links with local BAME groups. Whilst the representation of BAME communities in our existing groups is largely reflective of the city ratios, the voices of these communities are rarely heard since they are always a minority voice within a group. 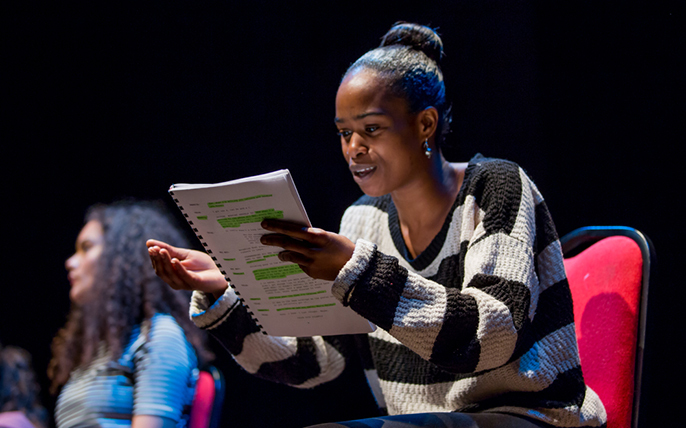 So the theatre’s work has focused on developing a writing programme, Critical Mass, to develop writers from within the local community; and on running targeted projects, such as the Black Youth Theatre. 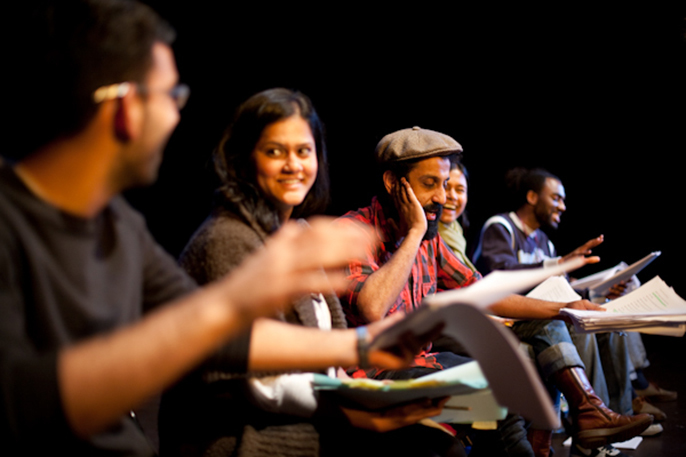 In December 2010, the theatre was commended at the national Awards for Bridging Cultures for its work in encouraging intercultural dialogue. Past work has included Hussain and Harry (2005), a project about experiences of warfare, with a group of young asylum seekers and the Senior Youth Theatre; The First Time I Saw Snow (2008), a TiE tour about new incoming communities, as well as smaller-scale collaborations with grassroots BAME organisations such as Black Boys Can. Over the last ten years, the Belgrade Theatre has established a reputation for its In Our Own Wordscommunity festivals, with the 2009 festival, The Mysteries – In Our Own Words inspired by stories from both the Bible and the Qur’an, and the 2010 festival based on true stories of immigration to the city. Today, the Belgrade Theatre is the home of one of the most active and well-regarded Community & Education programmes in the UK. The Community & Education Company currently comprises of eight youth theatres including the newly launched Asian Youth Theatre and existing outreach groups which include Black Youth Theatre and Canley Youth Theatre. Its current Youth Theatre programme is committed to using theatre to empower local communities, giving young people a voice through the creation of exciting pieces of original theatre that bear witness to their experiences. The Company’s work is based on the premise that drama is a powerful tool for the building of creative, confident individuals and communities with a strong sense of local identity. Most of the Youth Theatre’s work is now devised, allowing the creation of original work that evolves out of the experiences of the young people but is supported by the expertise of professional artists. In 2015, the Belgrade Theatre celebrated the 50th anniversary of the birth of Theatre in Education (TiE) in Coventry, marking 50 years since the establishment of a company of actor-teachers dedicated to using theatrical performance and drama workshops to explore issues of cultural, social, political and moral significance. To celebrate this significant anniversary, the Belgrade Theatre played host to a major new festival celebrating and championing the voices of young people in UK Theatre, running for two weeks in July 2016. In Our Own Words – July Festival of Theatre by Young People, For Young People saw over 150 young participants from across the UK come together to present six exciting new works produced in association with some of the UK’s top theatre makers including Frantic Assembly, Vamos Theatre, curious directive and Newcastle’s Gateway Studio Project. Significant works premiered as part of the festival included a new collaboration between the Belgrade’s Black Youth Theatre and Newcastle’s Gateway Studio Project, Broken which explored 21st Century schooling in the UK and Somewhere To Belong, a moving and resonant piece of theatre exploring the inner jihad of an Asian youth in 21st century Britain produced by theBelgrade’s newest Theatre Group, Asian Youth Theatre in association with Vamos Theatre, one of the UK’s leading full mask theatre companies.